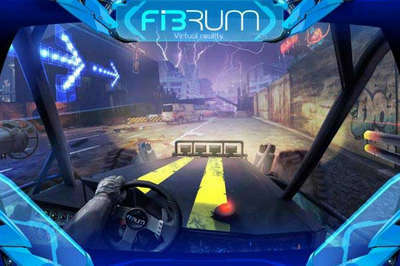 I've recently compiled a list of the best Virtual Reality Android games to play on your Google Cardboard and Fibrum in 2016. Each game has a free apk download link with obb when available. Most of these are full version paid apps so if you like something and got the cash, follow the Google Play link to buy it! 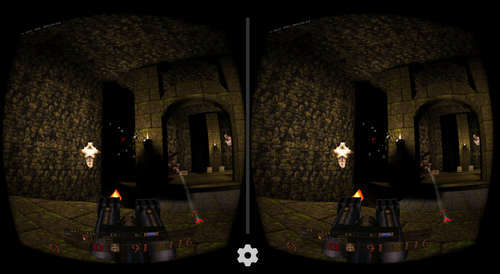 Quake VR is the mobile port of the PC version in which you fight dungeon creatures and survive. It's been specifically tailord for VR gameplay on Android! Requirements: control pad, Cardboard or equivalent with headstraps to play in VR-mode. Installation: Install Apk, Copy ‘Q4C’ folder to sdcard/ , and launch the game. BombSquad VR is all about blowing up stuff.. it includes dozens of mini-games, multiplayer, and more. 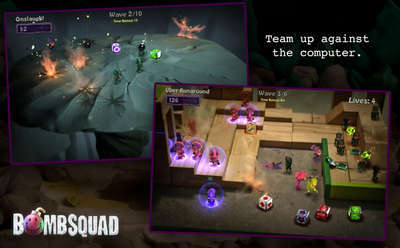 Requirements: a gamepad to play (or a second device running the 'BombSquad Remote' app), Cardboard. 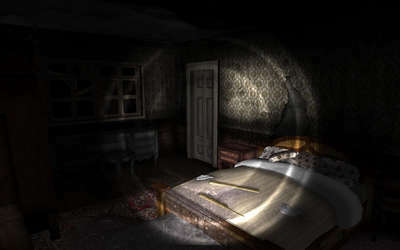 In this game you find yourself trapped in a really creepy house filled with otherwordly creatures, and try to survive. 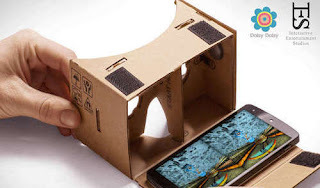 Requirements: Mobile Virtual Reality glasses Lakento MVR, but can work Google Cardboard by using a bluetooth joystick. Travel the world in the high speed gravity trains that will take you anywhere on earth in a matter of minutes. 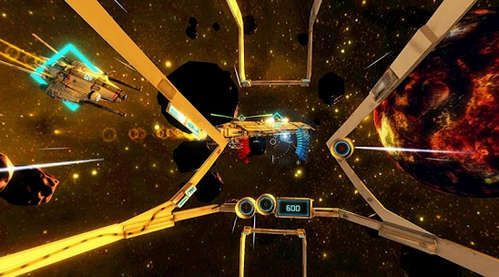 In this one, players engage in extreme space battles and fight hordes of enemies. It's a space fps like none other. Feel the thrill and action as you fire lasers and destroy enemy ships! 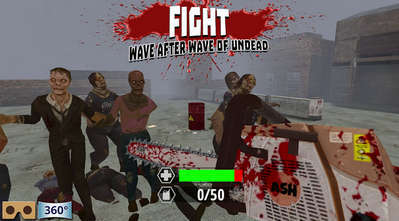 Use various weapons to fight hordes upon hordes of zombies in a really immersive Virtual Reality Environment. Try to survive, and Do NOT get eaten! Requirements: any Android device with 360° view - VR-headsets such as Google Cardboard recommended. Go on an treasure hunting adventure in VR mode, and solve challenging puzzles to unlock the secret chambers. Put on your headset and relax in your very own private beach. Listen to the sounds of waves, birds, and enjoy the sun! The game is exclusively made for Google Cardboard. New York City has been flooded, and much to your luck, you have brought your surfboard with you. 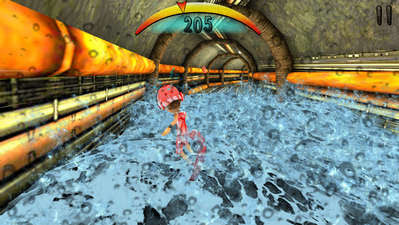 Ride through the waves of water and travel in the tunnels in this fun-filled surfing adventure. Game requirements: Play in VR mode with your Cardboard or VR headset (DODOcase recommended), or in mobile mode. 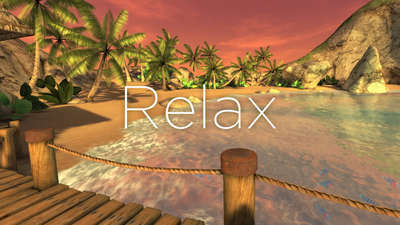 Pull the lever and start a vr roller-coaster adventure through a beautiful tropical island! 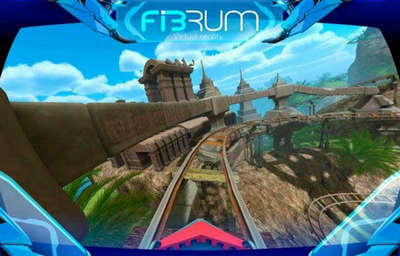 Jump into your buggy and perform extreme stunts and jumps in this new extreme racing game from Fibrum. 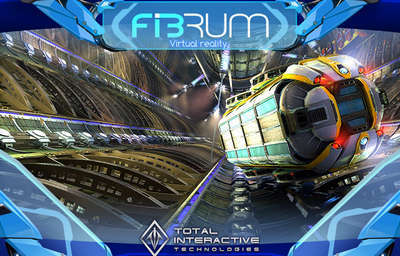 Requires: FIBRUM virtual reality glasses/headset (or google cardboard). This game takes players into space to pilot the most powerful starships and take part in some crazy racing adventures for the championship. Dive deep and explore the ocean as you try to demistify the mystery of a sunken ship. 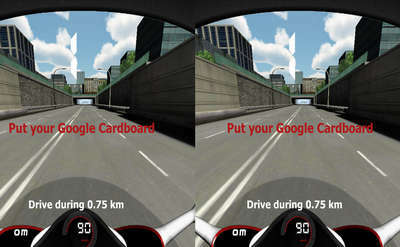 Drive your bike at high speed through city traffic in this intense google cardboard virtual reality game. 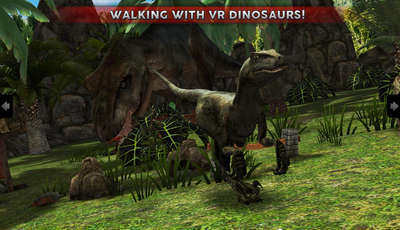 Experience a dinotastic adventure and meet many types of dinosaurs in this dangerous game. 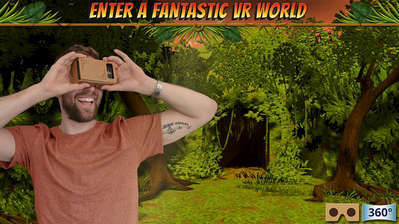 Play in VR or non-VR modes, explore the jungles, observe the deadly creatures, and have a ride of a lifetime! Game requirements: compatible with all non-powered virtual reality goggles. Enjoy an out-of-this-world experience as you ride an acean gliding rollercoaster watching beautiful flying whales. 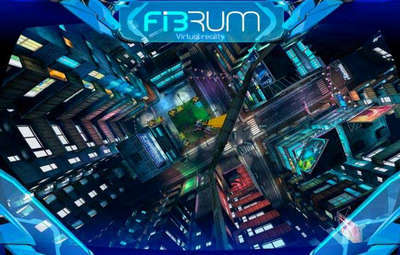 Pilot a mighty spaceship with advanced weapons and target your enemies in the first VR FPS game for mobile devices. Go on a wild ride through the cosmos and marvel in the beauty of it all. Watch asteroids / meteors, discover planets, and enjoy the vastness of space. Board a ghost train and try not to get scared as you encounter ghosts and other supernatural beings. This is a dungeon crawling game with stealth elements. You must escape your dungeon cell, explore secret rooms, and avoid guards, to ultimately flee from this hellhole. Pilot your very own fighter copter and shoot down enemies as you avoid their missiles and weapons. 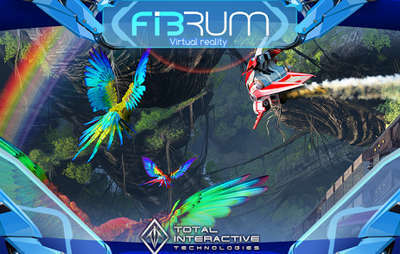 Enjoy intense aerial combat in virtual reality. Immerse yourself in action-packed space arcade shooting as you fight enemies of the galaxy using your advanced battle spaceship. 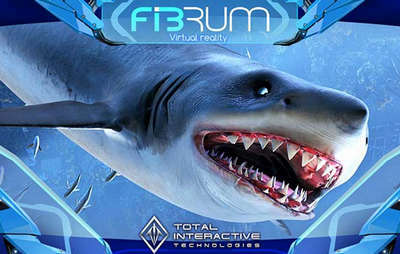 You can now enjoy a real pirate adventure and sail across the oceans in gorgeous virtual reality, and enjoy battles in FPS RPG style. This is a tank driving simulation in which your goal is to get to the given destination all while destroying enemy tanks in your way. Take a ride into the heart of the wild west and watch the beautiful scenery including deserts, valleys, caves, etc. I hope you like these Android VR Games I chose for you guys. If you have anything to add, or are having problems installing some app please comment. I'll be adding more VR titles to the list in the future.. It took me a lot of time to write this article so don't forget to SHARE it with your friends!